You have the potential to be a real star for all of eternity, shining in all of the brilliance of a glorified body. 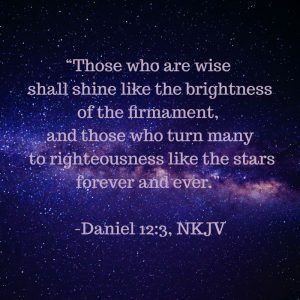 Those who are engaged in turning many to righteousness will shine even more brilliantly, according to this passage and other passages of Scripture. Since the Word of God and the souls of people will be the only things to last forever, it makes sense for us to spend our time, talent, and treasure—the three Ts—to win as many people to Jesus Christ as possible. The eternal factor, that all of the human race has to consider, is the most important decision an individual faces. It determines our eternal destiny! In the Proverbs we are exhorted to seek wisdom. Such wisdom includes being involved in winning souls for Christ by helping in this endeavor known as the Great Commission. All of us need to find ways in which we can be a part of God’s redemption plan for humankind. 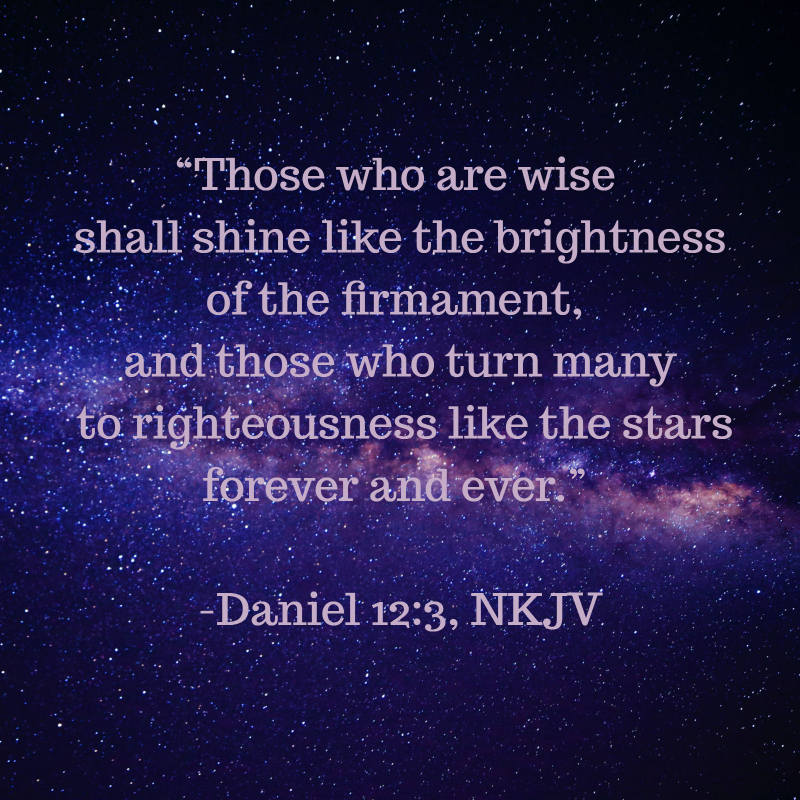 Those who do have the promise and expectation of shining like a star forever! Have I captured the vision? How am I helping to fulfill the Great Commission?